PENTAX maybe isn’t as popular as other big camera manufacturer. However, this brand has several different cameras that can be compared with those big guns. One of them is PENTAX K200D. This camera stays in the same competition with other popular camera, like Nikon D60, Canon EOS 450D and Olympus E-520. This camera can be considered as old camera, because it was launched in 2008. Therefore, it’s important for you who still want to use it to update its firmware. But, before that, let’s take a glance on what we can get from K200D. The main important feature is the Shake Reduction system. Like its name, it will help you to avoid blur that usually happen, when you shake the camera when you take the picture. The other feature is Dust Removal. Like its name, you can remove dust effect on the picture. And the last feature is Pentax’ 11-point Safox VIII AF system. If we see all features in this camera, we can see that this camera is designed to have high durability. With its weather-sealed body design, you can easily carry it for outdoor activity. More than that, it also has bigger viewfinder than previous model, the K100. The latest firmware you can find is the Version 1.01. And, like mentioned above, you need to get this firmware, if you still want to use this camera. What changes that this firmware has? This version improves the stability when you record image and save it in SDHC Memory card. This update is also available for Windows and Mac OS. So, do not make mistake, when you download them. You also can use this updated firmware for K200D firmware Version 1.00. You can check your camera firmware version by holding MENU button. Then, the version information will appear on the screen. 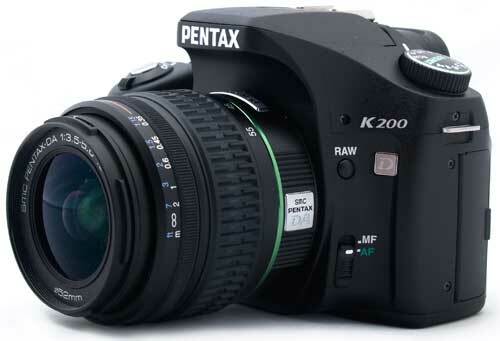 0 Response to "PENTAX K200D Firmware Version 1.01 Download for Better Performance"